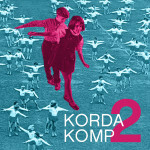 Korda Records is a Minneapolis based record label cooperative launched in late 2012 by Allison LaBonne (Typsy Panthre, The Starfolk, The Owls), David Schelzel (The Ocean Blue), Brian Tighe (The Starfolk, The Hang Ups, The Owls) and the Legendary Jim Ruiz (Jim Ruiz Set). 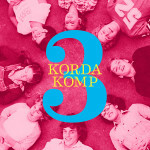 Korda (n. Swedish chord) is comprised of a close knit group of friends who love each others’ music, and want to help each other reach more people who will love it too. “All of us have released records on major and indie labels, and we’re at a point now where we want to simplify, and do things on a more direct, calm and friendly level,” says David Schelzel. 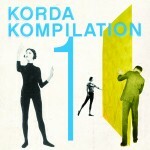 Korda Records is also a response to the changing music climate. “The way we make and release music has changed so much during our careers. We wanted to work together and find the best way to do music in this new model.” says Brian Tighe. In the Summer of 2012 the friends had four bands among them (Typsy Panthre, Jim Ruiz Set, The Starfolk and The Ocean Blue) all finishing up new records and none were sure how they’d go about releasing the records. So they decided to pool their resources and work together. “We have four new albums lined up for release. They are all so different and that’s great.” says Jim Ruiz. They believe there’s also a commonality springing from their longtime friendship and association. “We’ve been involved in each others’ lives and music for years. We’ve shared our influences, learned from each other, collaborated, and watched each other develop and evolve. It’s like we’ve grown up together, musically.” says LaBonne.